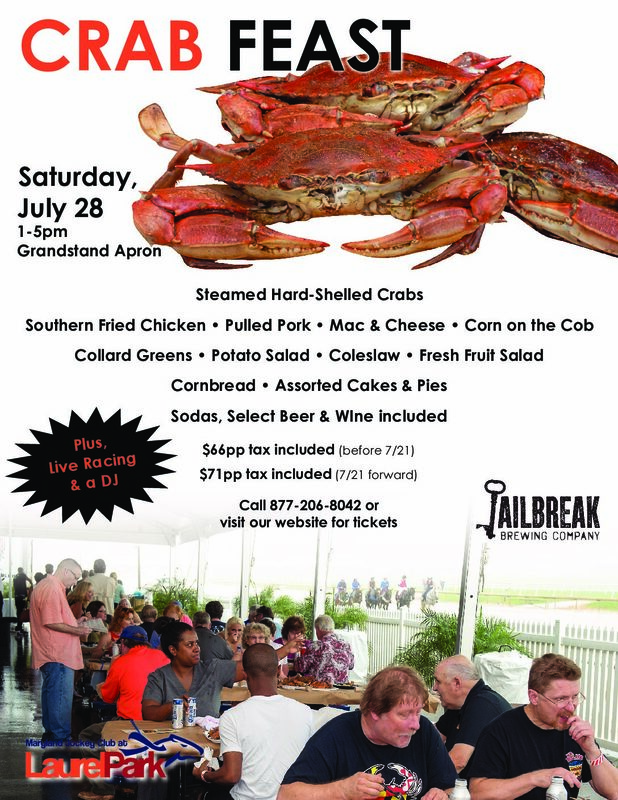 Enjoy crabs and more, along with Jailbreak brews! Be the first to taste this year’s Pimlico Pilsner! 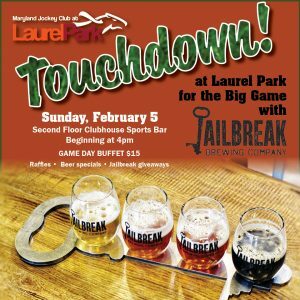 Watch Superbowl LII with Jailbreak at Laurel Park! 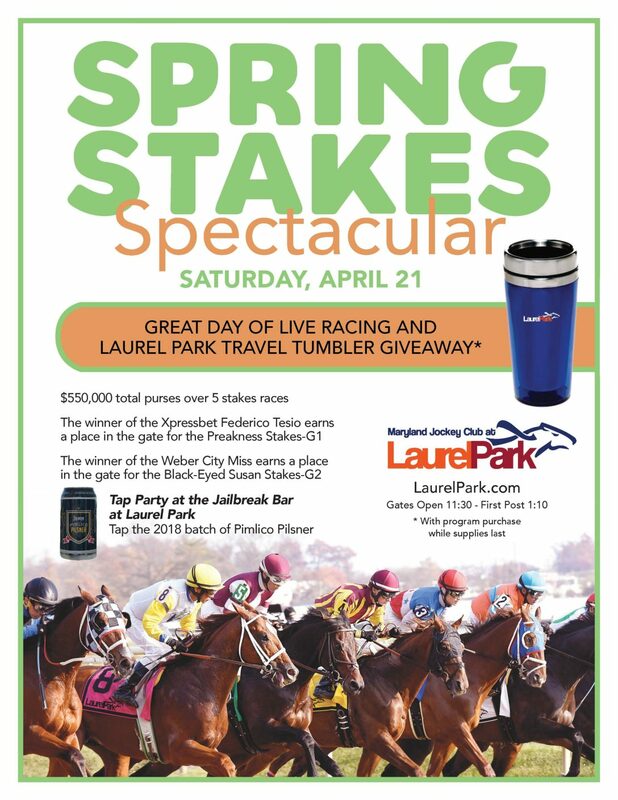 The 32nd running of Jim McKay Maryland Million Day will take place on Saturday, October 21st, at Laurel Park! 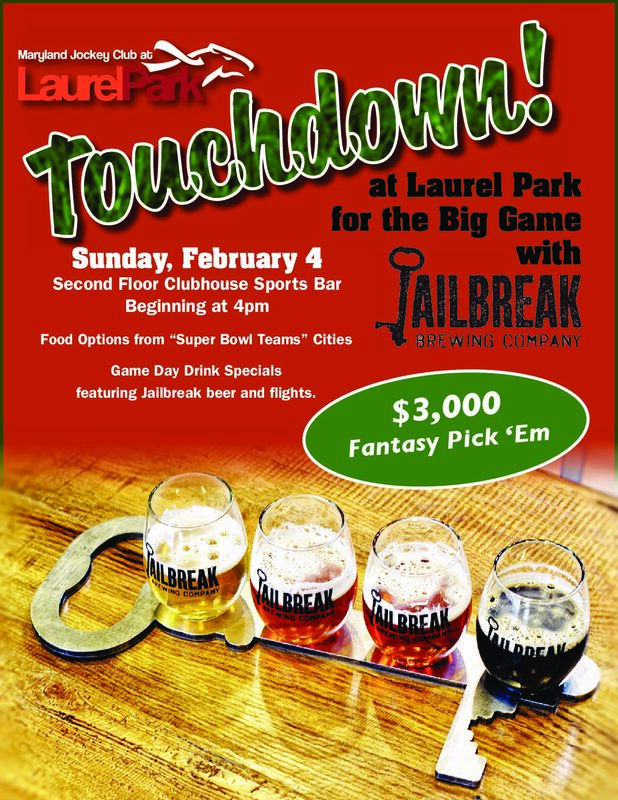 Watch the Superbowl at Laurel Park’s brand new second floor clubhouse sports bar! Game Day Buffet for $15! There will be football favorite snacks made with Jailbreak beer. Raffle prizes drawn each quarter. 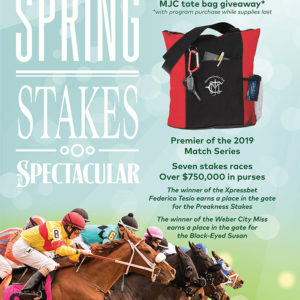 Free raffle ticket with each purchase of Jailbreak beer or buffet. Beer specials will be available, seasonal Jailbreak flights, AND Jailbreak giveaways!